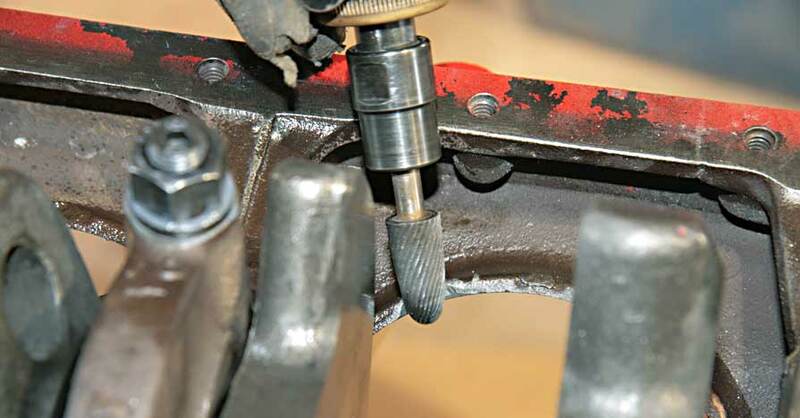 One of the most versatile tools you need in your toolbox is the die grinder. Named from their beginnings in the tool and die pattern making industry, die grinders are high-speed rotary tools that are used to shape various substrates. 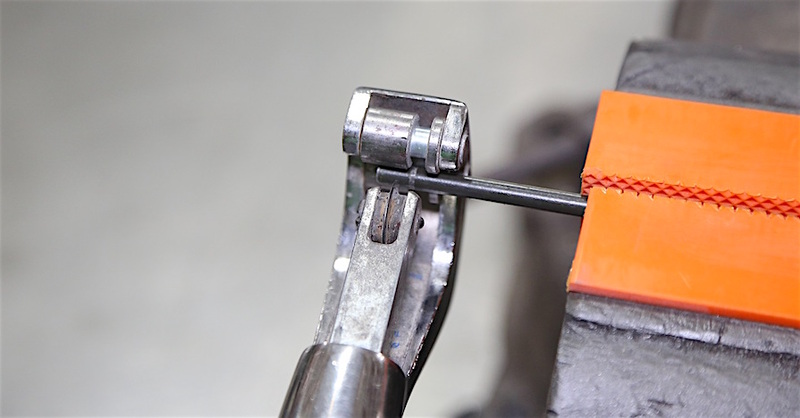 You can use a die grinder on just about anything, from cast iron and steel to aluminum, plastic, even body filler and wood, all depending on the attachment you choose. Removal of material is a tough jib, you need the right tool, especially if you are doing precision work. Most everyone has heard of a Dremel tool, which is a small electric version of the typically larger die grinder. Most die grinders are pneumatic, but there are electric versions as well. You can even get electric units with foot controls for more precise cutting. The most common die grinders are air-powered. They do use a lot of air, but a small 20-gallon compressor will keep a die grinder running for a long time. Pneumatic die grinders are inexpensive and easy to use and heavy-duty, they offer more torque for heavy material removal and are the preferred tool for machinists and pattern makers. A typical air powered (pneumatic) variable speed die grinder. Air-powered grinders come in several main designs, including straight, 90-degree, and 45-degree. This refers to the angle of the tool head versus the grip. 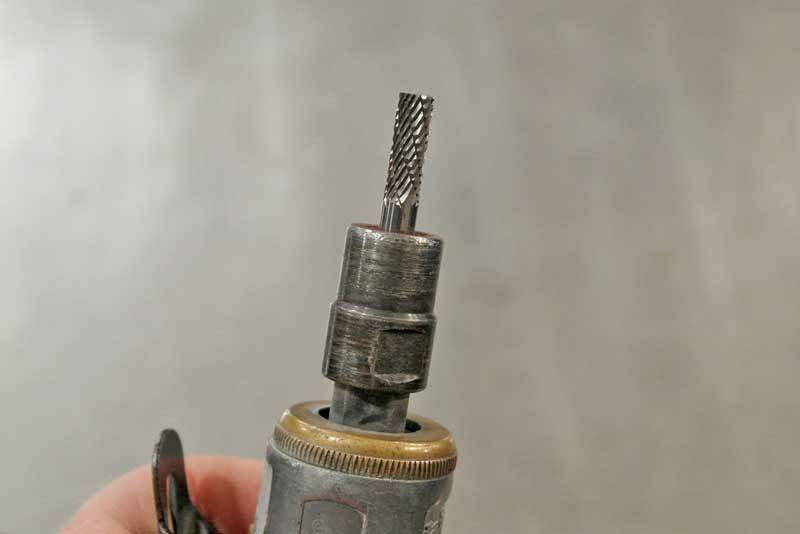 Straight grinders typically offer more control for detail work using grinders and burr bits, while angle-head tools work really well for tight spaces and sanding/surface prep work. The speed of the air-powered grinder is controlled through the throttle on the handle. Air powered die grinders are small, which means they work in tight areas. Inexpensive. An air-powered die grinder can be had for as little as $20, of course the more expensive ones have better internals and last longer. Continuous duty. As long as the compressor keeps up, the grinder can run as long as you can. Air is required. You have to have a good air compressor to run a die grinder, small pancake-style compressors do not have the output to support an air tool like this. A 3-hp compressor with a 20 gallon tank is about the smallest you can get away with. Hose. You are tethered to an air hose, which often becomes a real problem for movement. 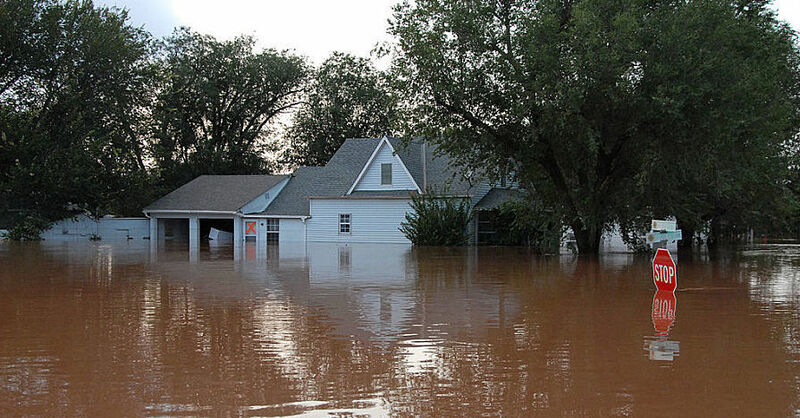 If the hose snags on something, it can cause a big problem. The key to fixing that is to secure the hose to the bench or other solid object and then use a light flexible coil hose from there. This makes a big difference for mobility. While there are some heavy-duty electric die grinders, most are in the light-duty section. These tools use smaller versions of the same bits for the larger units, with some attachments that are only used with the small electric tools such as router bits. The largest collets (the piece that tightens on the bit) is usually 1/8” for electric grinders. A typical electric die grinder. Remote grinders, where the motor is separate from the tool head and connected through a drive cable, are designed for heavy duty use. These are really good for intricate machine work where you need a light tool head for maneuverability. These can be single or multi-speed, with or without a foot control. Working in tight areas like cylinder head ports, the electric grinder with foot control lets you concentrate your hands on the work, and you foot operates the speed. Portable. The only thing you need is electricity, which can be an extention cord or in some case, a built-in rechargeable battery. Lightweight. You won’t have to fight the weight of the tool and air hose because the tools are light. High-speed. 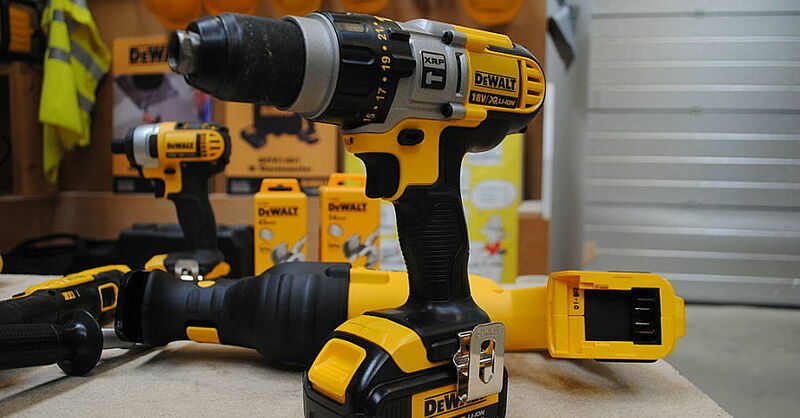 Just like the air tools, electric tools can spun up to 10,000 rpm or faster. Unique bits. Router bit attachments for electric grinders make these tools very versatile. Too small for heavy work, the smaller electric die grinders are too small. Torquey. The high-powered electric grinders are very torquey, to the point that they can kick out of your hand when you first turn it on. This can be dealt with, but it a key point to be aware of. 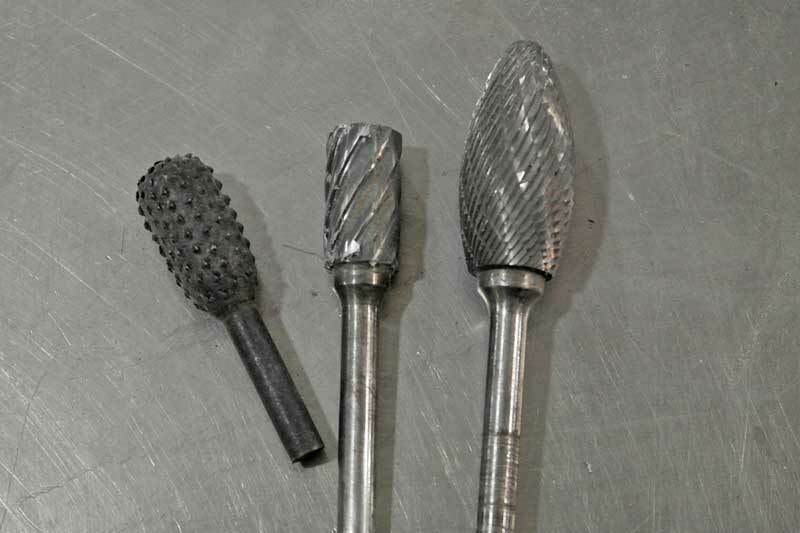 There are many types of cutting tools, but the most common are carbide burrs and cutting wheels. Carbides are useful for heavy removal down to intricate details. Burrs come in all different shapes and sizes, so there is a burr for every job. The important key to using a burr is knowing which type to use on what material. Coarse burrs are for aluminum and soft materials like wood. 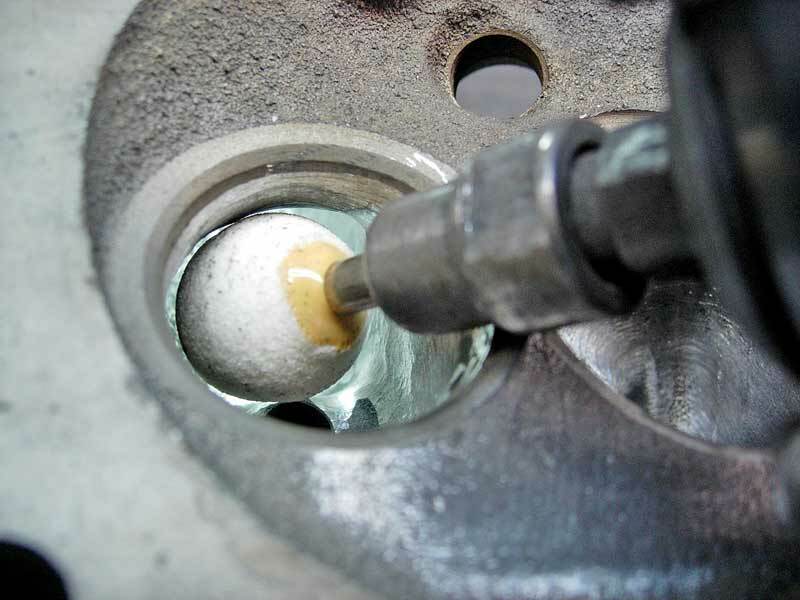 If you use a coarse burr on iron, it will just bounce and skip around. These burrs represent the basics. From the left: very course, good for wood and plastic. Middle: course, suitable for wood, plastic and non-ferrous metals. Right: fine, best for ferrous metals. Hard materials like iron and steel require a fine burr. This allows the burr to make small bites, so it does not bounce and skip off the surface. If you use a fine burr on aluminum, the burr with clog up, and this can be a permanent issue, meaning you can’t clean it out. Plastic should be shaped with a fine burr at slow speeds to keep the plastic from melting. 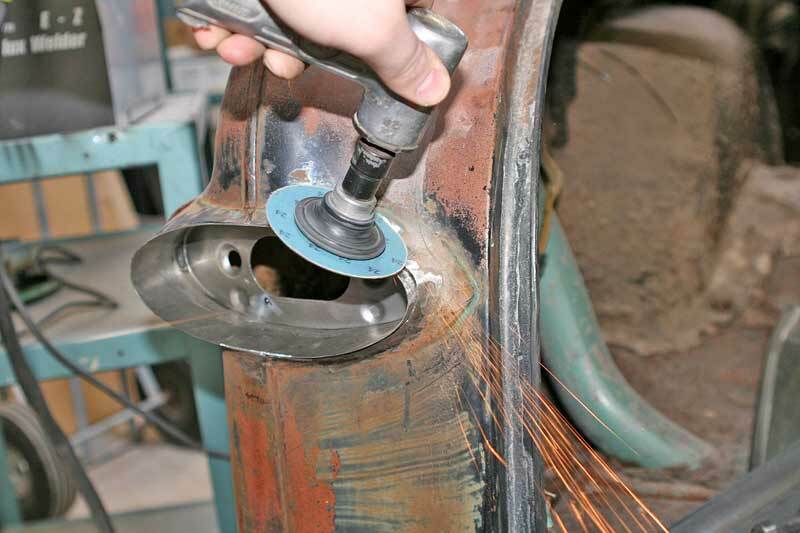 Cutting wheels should be used with a cut-off version of a die grinder with a shield. There are saw-blade type cutters, which are incredibly dangerous to use, but serve a purpose. Cut-off tools are essentially a die grinder with a hooded wheel. The hood protects the user from sparks and flying debris. 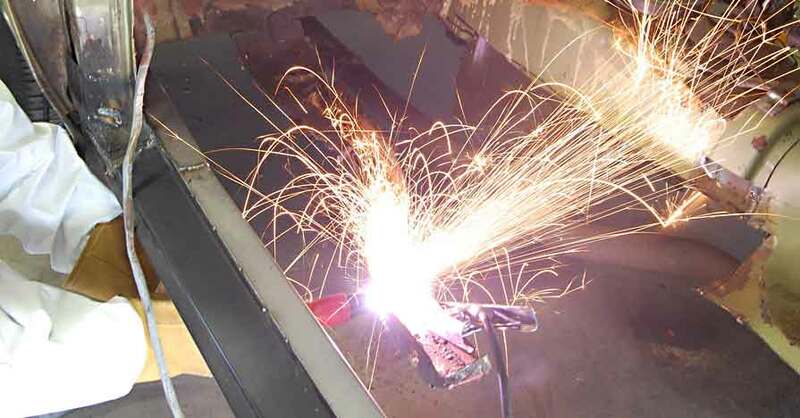 What makes a die grinder so versatile is the wide range of grinding tools. 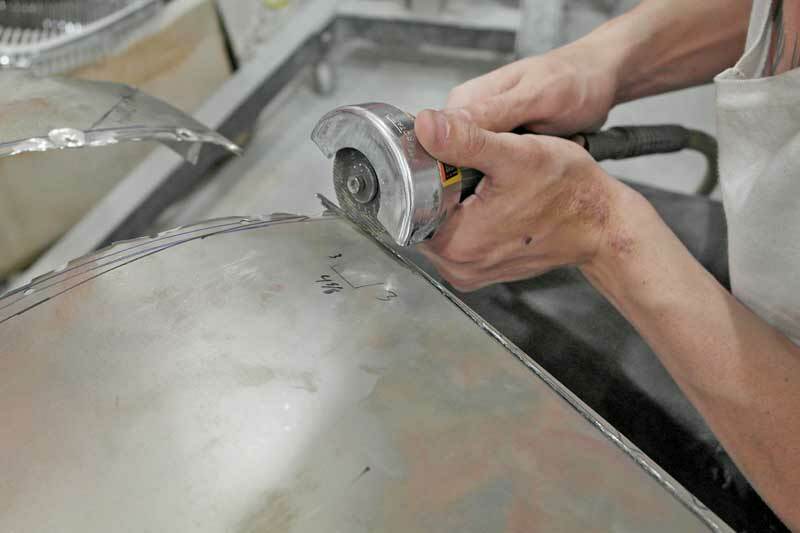 The most common is the 3M Roloc disc, which is a quick-change tool that allows you to swap out sanding and surface prep discs. You can do just about anything with a die grinder and a few Roloc sanding discs. It can be the most useful tool in the shop. The 3M Roloc™ disc is ubiquitous with the die-grinder. Sanding, grinding, and surface prep are the playground to these tools. Where grinding stones used to be very popular, they don’t get used nearly as often these days. They are very good for rough clean up after burr work, and then moving on to the surface prep discs. Rasps are for heavy material removal, they would be considered in the area of 5-10 grit, so you can imagine how rough the removal is. These are good for taking off a lot of material from soft materials, mainly wood, plaster, etc. There are all kinds of unique tools for die grinders. Left: reamer for opening tapers and holes. 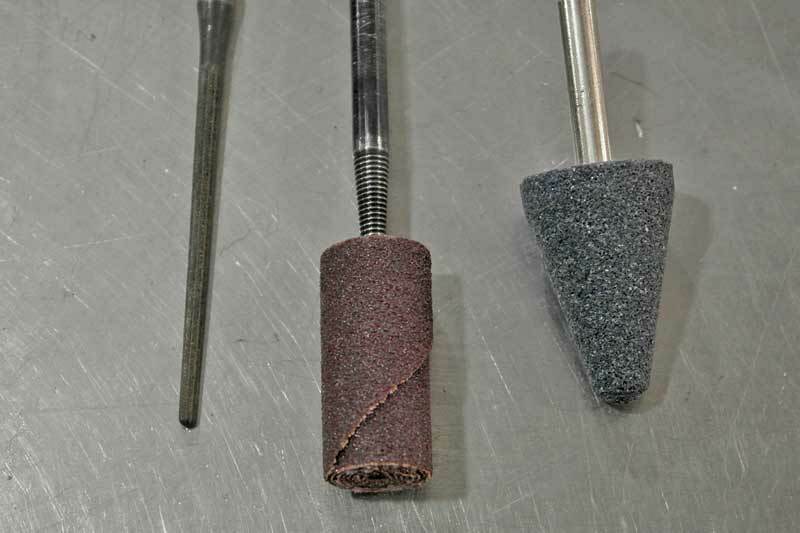 Middle: sandpaper roll, the rolls load onto the threaded shaft. Right: stone grinding cone, perfect for detail work. 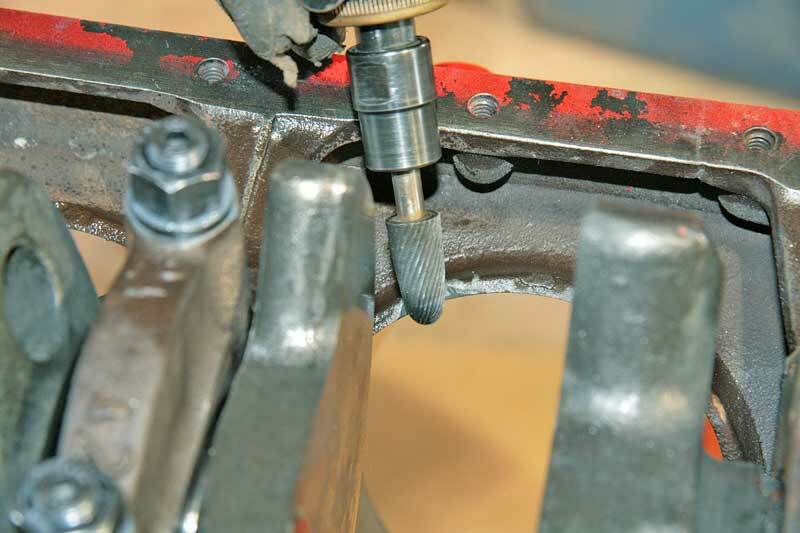 Operating a die grinder, regardless of the type, requires a deft hand and firm support. It is very easy for a tool to get away from you, so take care. As with any work where debris can fly, wear eye protection and hearing protection as these tools are loud. Check out all the tools & equipment available on NAPA Online or trust one of our 16,000 NAPA AutoCare locations for routine maintenance and repairs. For more information on how to use a die grinder, chat with a knowledgeable expert at your local NAPA AUTO PARTS store.